Successfully Added Quad Band Dual SIM Touchscreen Multimedia Cellphone to your Shopping Cart. Quad band dual SIM multimedia cell phone with 2.6 inch touchscreen for worldwide use. Unlocked quad-band touchscreen worldphone with two SIM slots, Bluetooth, and dedicated function keys. Two rich-featured digital photo and video cameras (front and back), easily take pictures with your friends. It is great that this phone has so many nice multi media features, but mainly I just need a reliable phone to make calls on, how does this phone stack up? This phone has an easy to use keypad and very vibrant colored screen that makes calling and texting simple. I live in the USA, will this Dual SIM mobile phone work here? 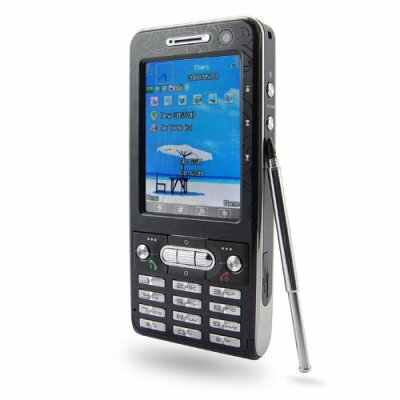 yes, this Quad band GSM touchscreen dual SIM mobile phone will work anywhere in the world on any network. Aparelho muito lindo e facil de usar, as teclas de atalho do lado de fora são ótimas para se usar perfeito .. vale a pena podem comprar exelente. very good phone for its money.